This post is in partnership with the PRIMP Network. All opinions are my own. As someone who is holding off on Botox/fillers, good skincare is essential. I’ve been hearing about Colleen Rothschild skincare for a while, so I couldn’t wait to give her skincare line a try! I have a few “must haves” for any skincare product I add to my routine. It must be gentle and it must actually work. Bonus points for multi-tasking products and, of course, chic packaging! 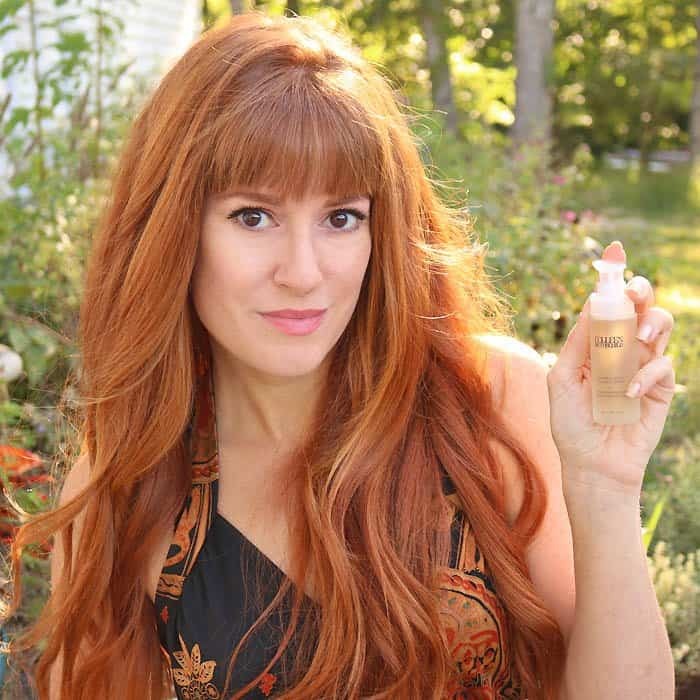 Colleen Rothschild’s skincare not only met my requirements, it exceeded my expectations. 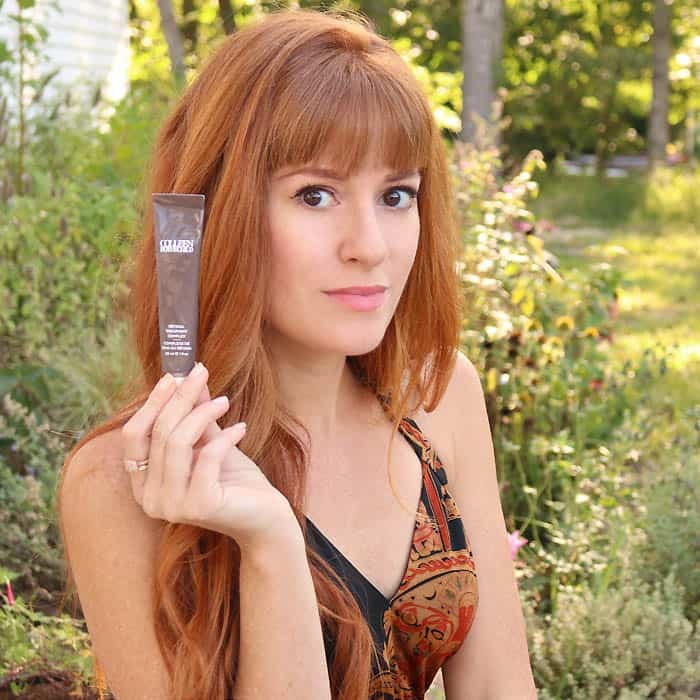 Read about which products I love, plus my new anti-aging game changer! 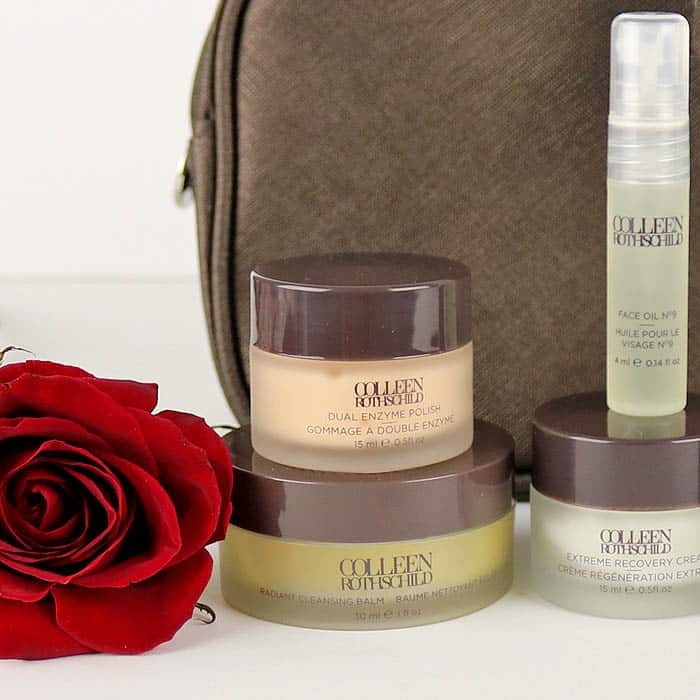 Colleen Rothschild has generously offered a 20% off coupon so you can experience her skincare line for yourself! Use “CRSKin20” during checkout- this code is only good for 1 week! This kit is the best introduction to the Colleen Rothschild line. It contains 6 trial size products as well as a muslin cleansing cloth. Everything is packaged inside a zippered travel bag. The product size is generous, so you really get to experience the benefits of each one. I’ve read about the Radiant Cleansing Balm (pictured on the bottom) on many beauty blogs so I was excited to try it. I can definitely see why this is a cult favorite! You rub a small amount of the balm in your hands and it turns into an oil. Then, you apply it to your face and wipe it off with the muslin cloth. The balm is a blend of Loofah Seed and Moringa Oil. It removes impurities from your face as well as any trace of makeup. 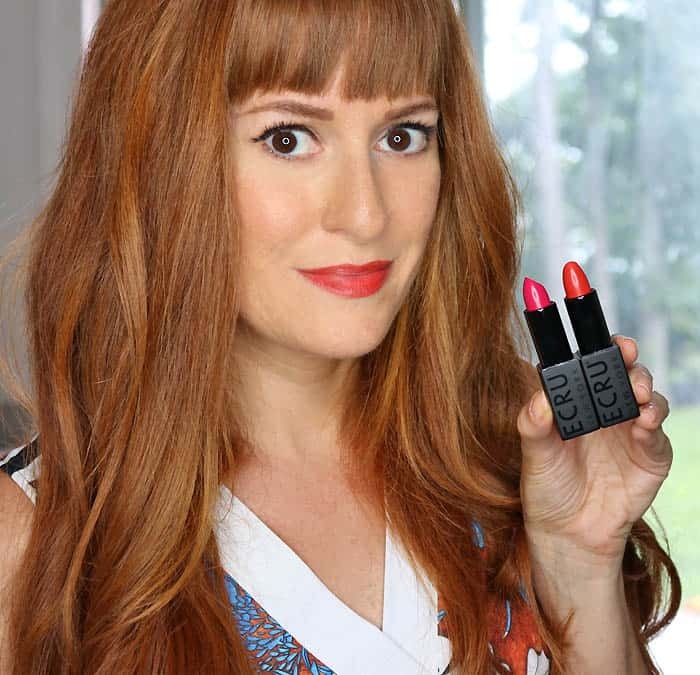 This balm easily removed my waterproof eyeliner and mascara! Some cleansers dry out my skin, but this one left it so smooth and soft! My love of face masks is well documented on this blog, so I couldn’t wait to give the Clarifying Detox Mask a try! Activated Charcoal masks (like this one) as great at drawing out impurities from the skin. Colleen Rothschild’s mask goes a step further by adding pure micronized silver which helps keep bacteria (a cause of acne) at bay. 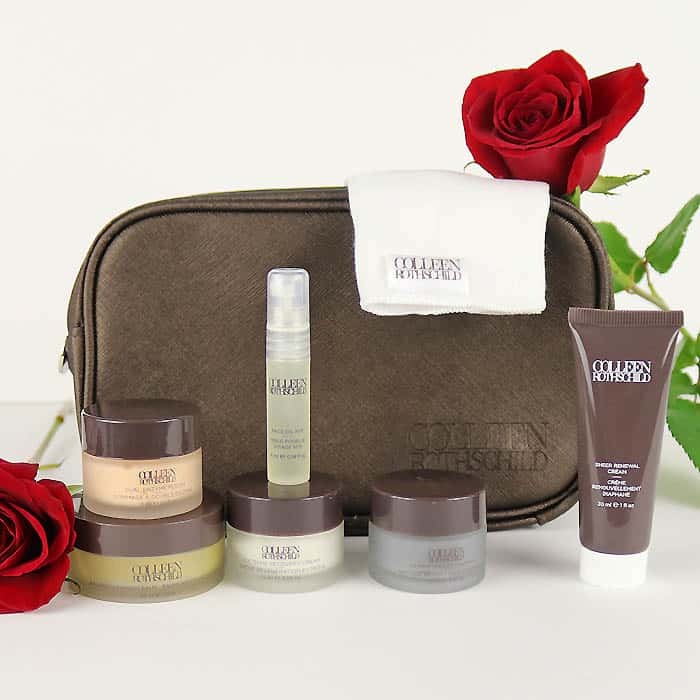 Another one of my favorites from the travel set was the Sheer Renewal Cream. It left my skin feeling hydrated without leaving behind a heavy or oily texture. This moisturizing cream also does double duty by minimizing fine lines and promoting new cell turnover. 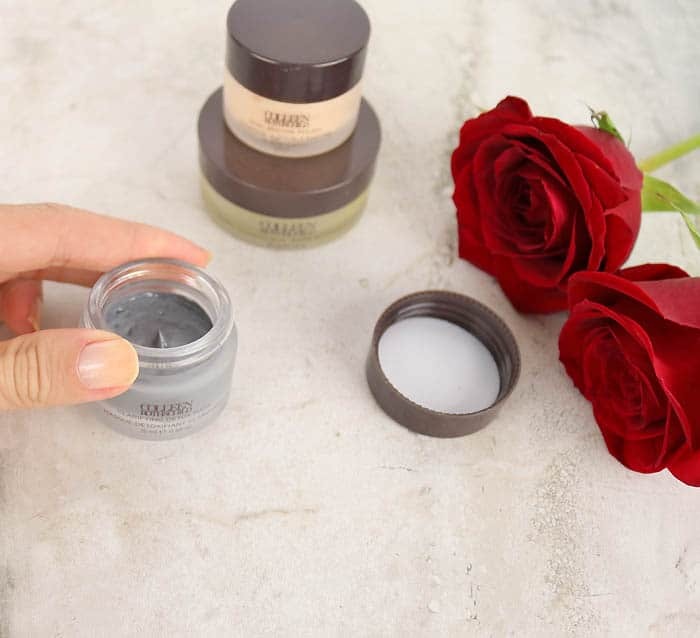 The Sheer Renewal Cream has a powdery finish so it’s perfect to wear under makeup. 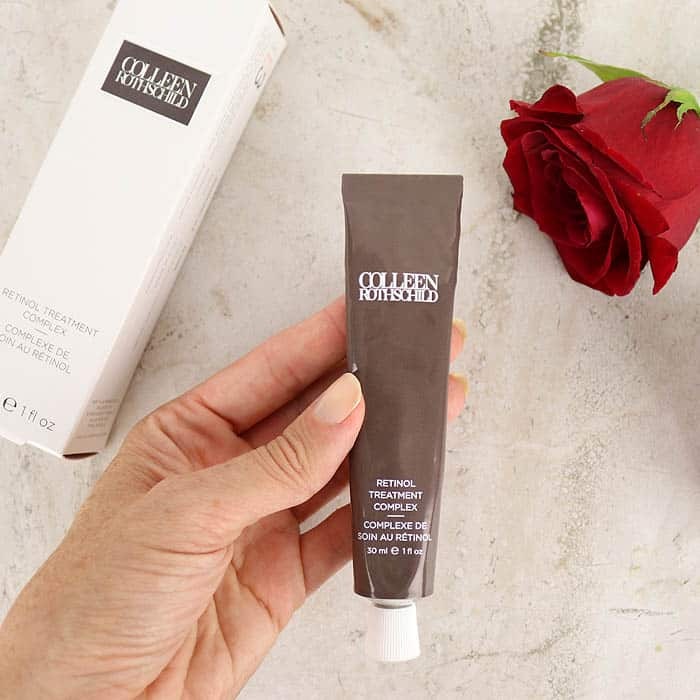 I’m even able to skip my primer when I wear this! I never go a day without using serum! This one contains Mandelic acid which is derived from the bitter almond. It’s a gentle, yet highly effective alpha hydroxy acid (AHA). This serum is designed to help everything from acne to fine lines to dark spots. 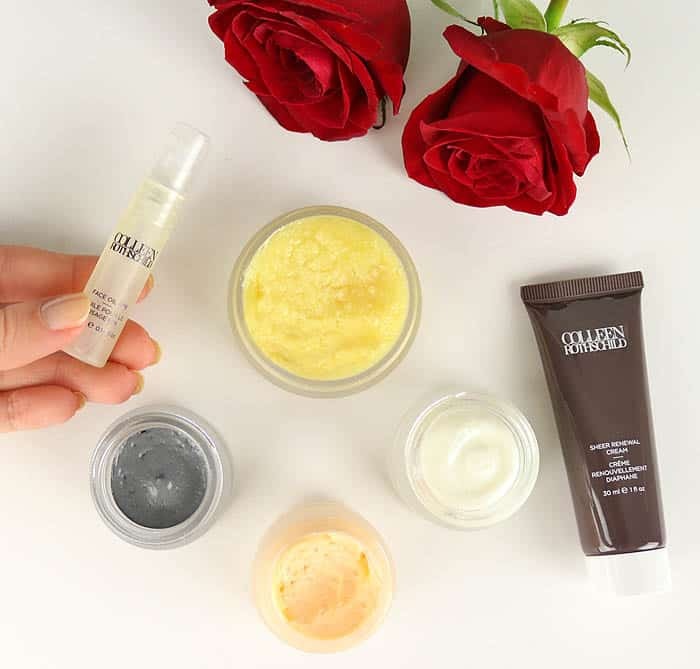 Retinols are an anti-aging must have! 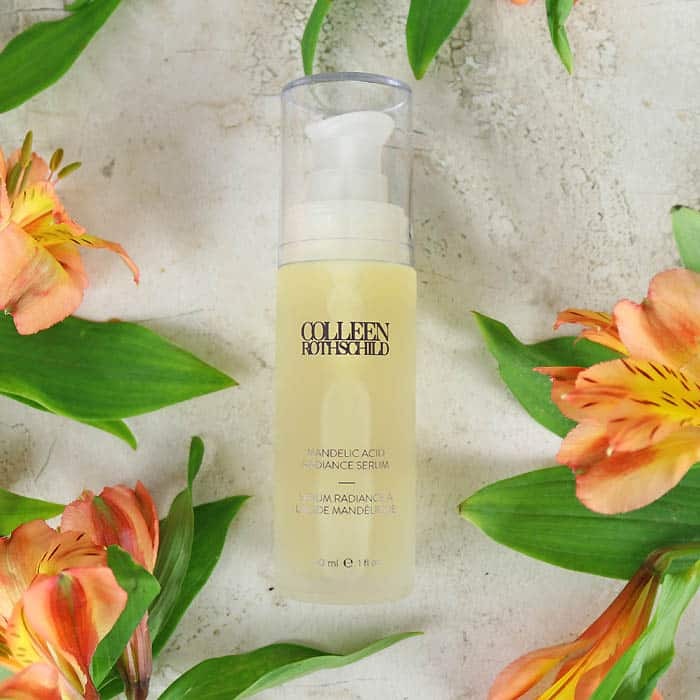 When combined with an alpha hydroxy acid (AHA) like the Mandelic Acid Radiance Serum, they provide some of the most dramatic (non-invasive/surgical) anti-aging results. The combination of these two products is nothing short of amazing! I honestly noticed that my skin look clearer and more even the next day. I was shocked at how fast I saw results! In the following weeks, my skin looked smooth and luminous and even my freckles had faded. What’s your skincare routine? I’d love to hear!